Scion Engine Torque Damper. Aftermarket Engine Damper for Scion FRS, tC, xA & xB. Choose from Scion Engine Torque Dampers by Ingalls Engineering & Weapon R. Scion Engine Dampers eliminate wheel hop and increase power to the wheels. 05-10 Scion tC Engine Dress Up Parts & Accessories. Engine Dress Up for Scion tC. Choose from Stainless Engine Dress Up Parts by American Car Craft, Aluminum Engine Dress Up by Weapon R and Aftermarket Hood Dampers by NRG Innovations. 05-10 Scion tC Engine Torque Damper. Aftermarket Engine Damper for Scion tC. Choose from Weapon R or Ingalls Engineering Engine Torque Dampers. Fully Adjustable, these tC Engine Dampers eliminate unwanted engine movement. 04-06 Scion xA Engine Torque Damper. Aftermarket Engine Damper for Scion xA. Choose from Weapon R or Ingalls Engineering Engine Torque Dampers. 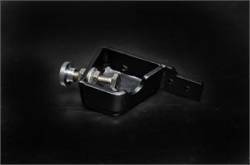 Fully Adjustable, these xA Engine Dampers eliminate unwanted engine movement. 04-06 Scion xA Header. Aftermarket Header for Scion xA. 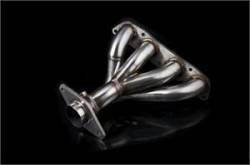 Choose from xA Headers by Weapon R & DC Sports. 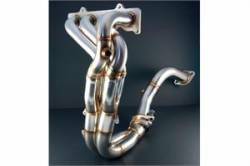 Polished or Ceramic Coated Headers available from FastScions. Improve Power and Sound with a Scion xA Aftermarket Header Kit. 04-06 Scion xA Intake Manifold. Aluminum Intake Manifold for Scion xA. The Weapon R xA Intake Manifold is the only proven Aftermarket option. 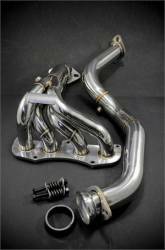 This Intake Manifold is 100% Bolt-On and provides more airflow to your 1NZFE Scion xA Engine. 04-06 Scion xB Engine Torque Damper. Aftermarket Engine Damper for Scion xB. Choose from Weapon R or Ingalls Engineering Engine Torque Dampers. Fully Adjustable, these xB Engine Dampers eliminate unwanted engine movement. 04-06 Scion xB Header. Aftermarket Header for Scion xB. 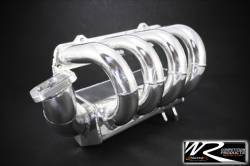 Choose from xB Headers by Weapon R & DC Sports. 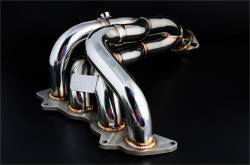 Polished or Ceramic Coated Headers available from FastScions. 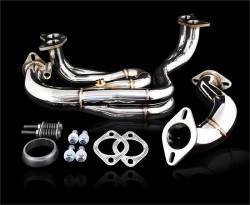 Improve Power and Sound with a Scion xB Aftermarket Header Kit. 04-06 Scion xB Intake Manifold. Aluminum Intake Manifold for Scion xB. The Weapon R xB Intake Manifold is the only proven Aftermarket option. This Intake Manifold is 100% Bolt-On and provides more airflow to your 1NZFE Scion xB Engine. 08+ Scion xB Engine Torque Damper. Aftermarket Engine Damper for Scion xB2. Choose from Weapon R or Ingalls Engineering Engine Torque Dampers. Fully Adjustable, these xB2 Engine Dampers eliminate unwanted engine movement. Description: 05-10 Scion tC. Weapon R Aluminum Coolant Overflow Tank 826-130-101. 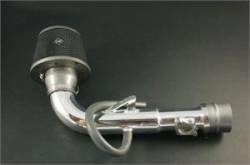 Dress up your Engine Bay with a Weapon R Aluminum Coolant Overflow Tank for your Scion tC. 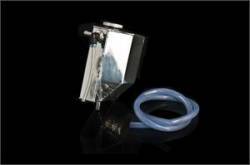 Improve under hood looks and function with a WR Coolant Overflow on your tC!!! Description: 13-16 Scion FR-S; 17-18 Toyota 86. Weapon R Aluminum Oil Catch Tank 826-141-101. 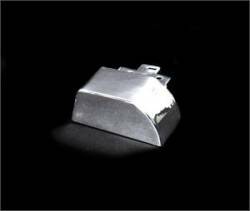 Weapon R Aluminum Oil Catch Tank. 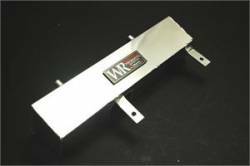 WR Aluminum Oil Catch Tanks improve under hood looks dramatically while still maintaining proper function. Description: 05-10 Scion tC. 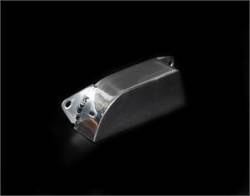 Weapon R Aluminum Oil Catch Tank 826-116-101. 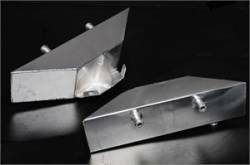 WR Aluminum Oil Catch Tanks improve under hood looks dramatically while still maintaining proper function. Description: 04-07 Scion xB. 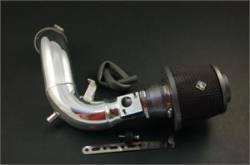 Weapon R Dragon Intake System 805-148-101. Secret Weapon Intake was designed to increase air intake volume to the engine. 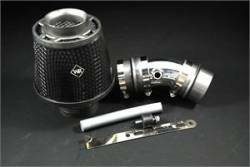 This feeds the engine 3x more air than the conventional intake system on your xB! Description: 05-10 Scion tC. Weapon R Engine Torque Damper 959-111-114 / 959-111-414. Weapon R Engine Torque Dampers mount between your engine and firewall, intended to create less stress to engine mounts, giving you more power to the wheels. Description: 04-06 Scion xA / xB. Weapon R Engine Torque Dampers 959-111-103 / 959-111-403. Weapon R Engine Torque Damper mounts in between the engine and firewall to reduce unwanted engine movement and put more power to the wheels. Description: 08-14 Scion xB2. Weapon R Engine Torque Damper 959-111-125. The Weapon R Engine Torque Damper mounts between your Engine and Firewall to reduce unwanted engine movement, putting less stress on engine mounts & more power to the wheels. Description: 05-15 tC, tC2 & xB2. Weapon R Header CEL Eliminator 963-111-102. Eliminate that pesky Check Engine Light from aftermarket Headers with a Weapon R CEL Eliminator. 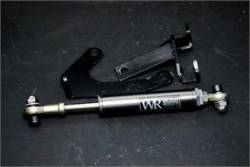 WR Header Check Engine Eliminators are mandatory with ANY Scion Header!! Description: 11-16 Scion tC (tC2). Weapon R Header for 953-204-109. 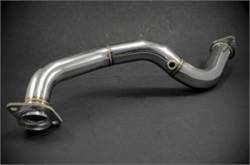 Finally Weapon R is the first to release an aftermarket performance header for the gen 2 Scion tC 2011 - 2016. The Weapon R Scion tC2 Header features Stainless Steel 4-1 Header Design!! Description: 08-14 Scion xB2. 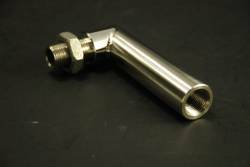 Weapon R 4-2-1 Stainless Steel Race Header 953-204-106. 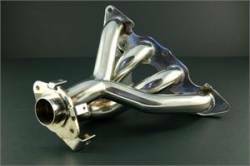 Weapon*R 4-2-1 Race Header Long Tube Design Maximum High RPM Exhaust Flow Stepped Tubing Design for Higher Torque Gains Ideal for all forms racing!! Description: 08-14 Scion xD. 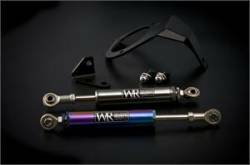 Weapon R 4-2-1 Street Header 953-116-109. 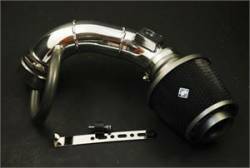 Make up to 12hp and 10lbs-trq with a Weapon R 4-2-1 Street Header for the Scion xD. The Scion xD Weapon R Street Header is provides excellent power and improved tone!! Description: 04-06 Scion xA / xB. Weapon R 4-2-1 Street Header 953-116-102. 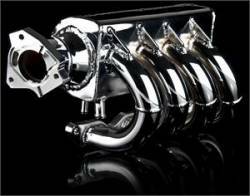 Make up to 11hp and 11lbs-trq with a Weapon R 4-2-1 Street Header for the Scion xA / xB. 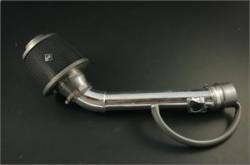 The Scion xA / xB Weapon R Street Header is provides excellent power and improved tone!! Description: 04-07 Scion xA & xB. Weapon R Racing Seat Mounting Brackets 954-112-102. Weapon R Seat Mounting Brackets with work with both Weapon R Racing Seats as well as other aftermarket Seats for your Scion xA / xB. 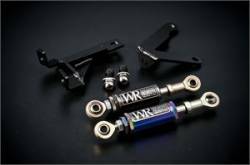 Weapon R Brackets sold as PAIR!! Description: 08-15 Scion xB2. 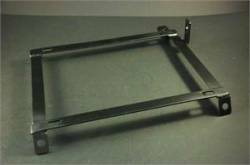 Weapon R Racing Seat Mounting Brackets for the 954-121-101. Weapon R Racing Seat Mounting Brackets for the Scion xB2 will work with Weapon R Seats as well as other aftermarket Racing Seats that are av available!! Description: 05-10 Scion tC. Weapon R Rear Strut Tower Brace 955-103-101. The WR STRUTBARS were designed to eliminate any body roll from the car. This Front or Rear Strut Bar ties all the most rigid points of the car together to obtain a RIGID CHASSIS!! Description: 08-15 Scion xB2. Weapon R 2.5" S Pipe 953-203-103. 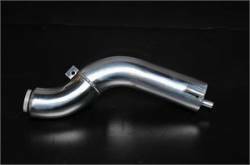 For best performance results, use with Weapon R 4-2-1 Race Header for the Scion xB2 (also available on our website and comes with this same S pipe already). 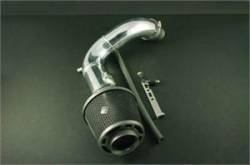 WR Scion xB S Pipe. Description: 13-16 Scion FR-S; 17 Toyota 86. Weapon R Secret Weapon Air Intake w/ Shield,305-173-101. Weapon R has released their Secret Weapon Air Intake. The Secret Weapon Intake is a dual velocity intake that features a Black Foam Filter w/ Shield. Description: 04-07 Scion xA. Weapon R Secret Weapon Intake System 305-149-101. Secret Weapon Intake was designed to increase air intake volume to the engine. This feeds the engine 3x more air than the conventional intake system on your xA! Description: 04-07 Scion xB. 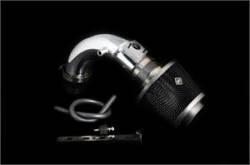 Weapon R Secret Weapon Intake System 305-148-101. Secret Weapon Intake was designed to increase air intake volume to the engine. 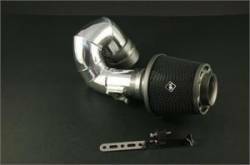 This feeds the engine 3x more air than the conventional intake system on your xB! Description: 08-14 Scion xD. 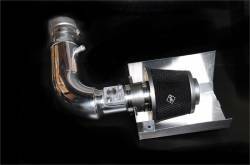 Weapon R Secret Weapon Intake System 305-158-101. Secret Weapon Intake was designed to increase air intake volume to the engine. This feeds the engine 3x more air than the conventional intake system on your xD! Description: 05-06 Scion tC with TRD SUPERCHARGER.Weapon R Secret Weapon Intake System 305-154-101. Secret Weapon Intake was designed, to increase air intake volume to the engine. The concept is to create two different air velocity profiles. Description: 07-10 Scion tC TRD SUPERCHARGED. Weapon R Secret Weapon Intake 305-166-101. Secret Weapon Intake was designed, to increase air intake volume to the engine. The concept is to create two different air velocity profiles.